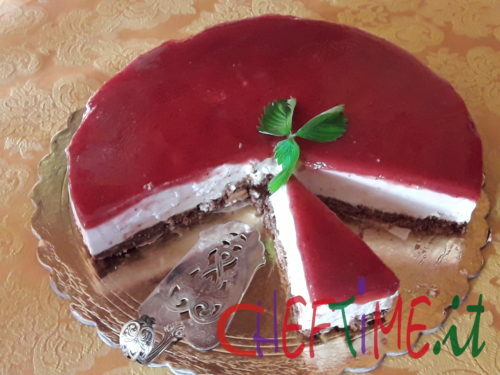 Strawberry yogurt cheesecake is a delicious cake that needs no yoghurt strawberry and cream cheese cooking, covered with strawberry jelly, beautiful to look at, easy and fast to build, fresh and fragrant the Cheesecake Yogurt strawberry and ‘an ideal dessert to occur at any time. 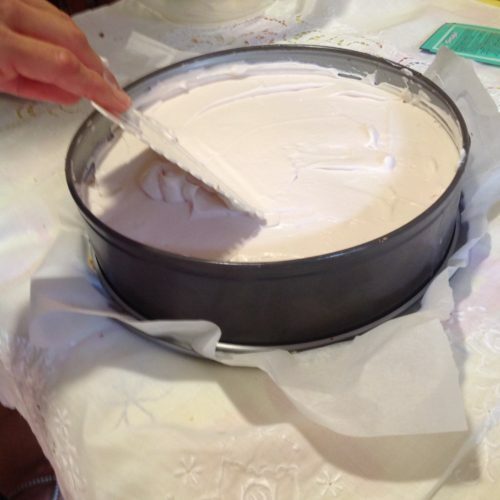 Equipment will serve as an openable pan hinge d 10,25″ and the wax paper. started to prepare the base, chop the biscuits in a food processor until you have a meal of biscuits. Melt the butter in the microwave and pour it into biscuits by mixing thoroughly. 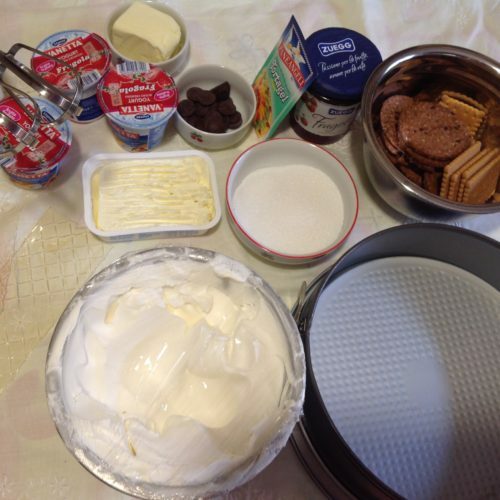 Brush with butter mold made zipper and edges, cover the bottom with parchment paper and brush again with butter, then pour inside the crushed cookies and with the back of his hand pressed to form an even layer, put in refrigerator and continue with the preparation of cheesecake. 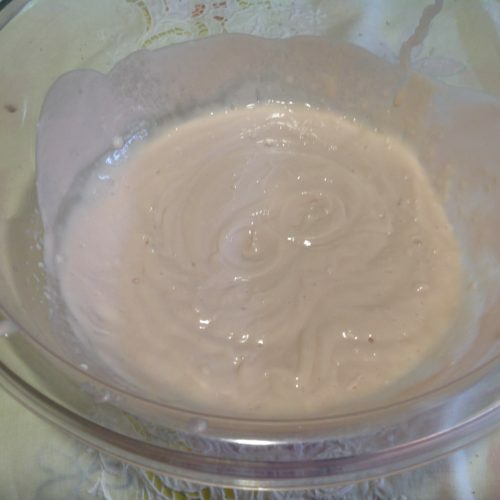 put to soak in cold water well the gelatin in a bowl pour the yogurt, cheese, vanilla and sugar and mix well until it forms a smooth cream without lumps. 1″ mounted firmly with the whisk cream until stiff, a tip is to put at least half an hour before it whips the bowl you use to whip the cream in the freezer. In a saucepan Heat 2″l of liquid fresh cream for a few minutes, without reaching a boil, wring well the gelatin and add it to the cream, stirring until its dissolution, let cool for a few minutes and pour in the cream cheese and yoghurt previously prepared , mix well, and finally, add the whipped cream, stirring gently from bottom to top with a spatula. Take back the pan from the refrigerator and pour in the cream, leveled well, cover with plastic wrap and store in refrigerator for at least two hours. Put the gelatin in cold water for 10 minutes, clean the strawberries, cut them into pieces and whisk them together with two tablespoons of sugar. 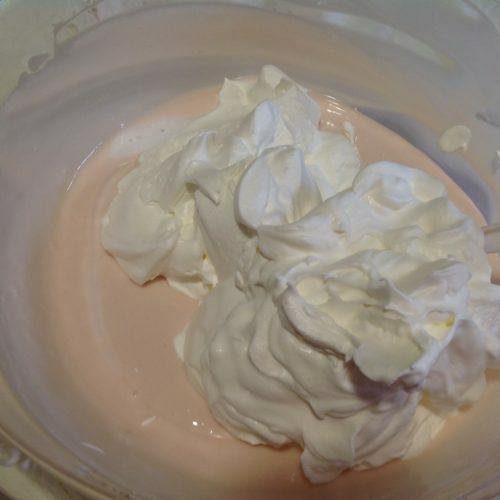 Take a portion of strawberry puree obtained and heat it in a pan, turn off, add the juice of the lemon and squeezed gelatine, stir until dissolved, add the rest of the strawberry puree and let the mixture cool. 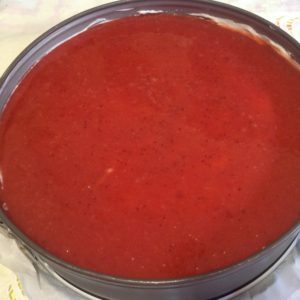 If you do not have fresh strawberries used strawberry jam. 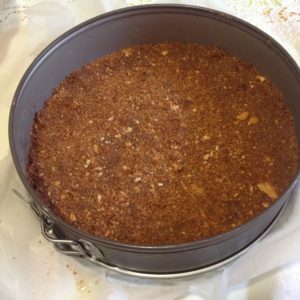 He spent two hours resume the cake from the refrigerator, pour the strawberry jelly but covering the entire surface of the cheesecake. 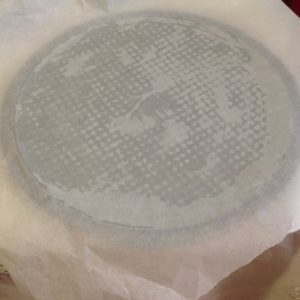 Put in refrigerator for 3-4 hours. 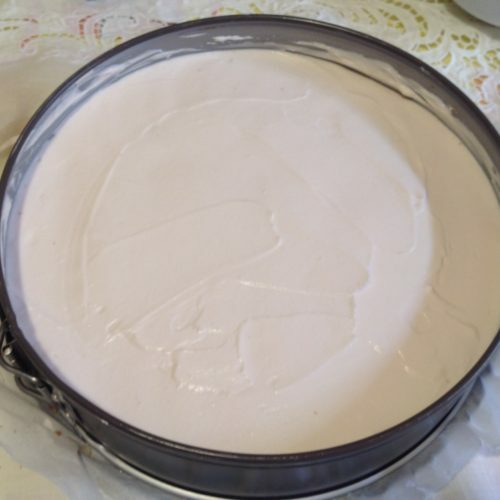 after the scheduled time, open the springform pan and gently remove the cheesecake from the mold, now you can serve your delicious cheesecake yogurt strawberry. HELPS other readers to discover this recipe, do a CLICK on bottom placed stars.